COLUMBIA, 2/27/12 (Beat Byte) -- From Facebook to radio shows, Columbia's Blight Decree proponents are pushing a historical lie: that blight declarations and eminent domain have never caused any problems here. Never uprooted families. Never destroyed businesses. Never robbed average citizens of their labors and legacies. Never caused community-wide wounds that took years to heal. Never created a racial wedge that has festered in this town ever since. It's what the city's powerful development community and its taxpayer-funded lobbying group REDI desperately want everyone to believe. And it couldn't be farther from the truth. On June 19, 1959, "The newly formed Family Relocation Committee of the Land Clearance for Redevelopment Authority was told by C.K. 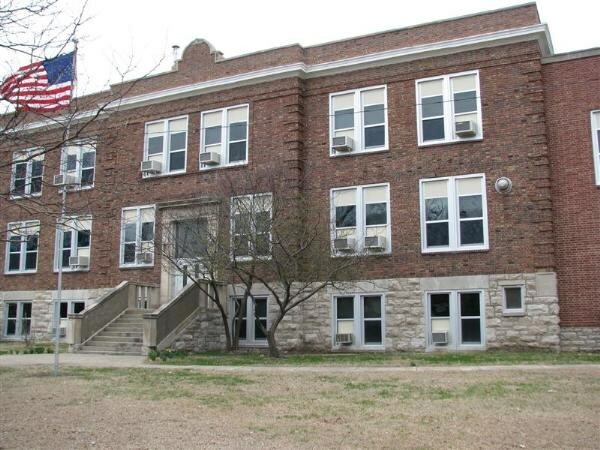 Odor, assistant director of housing management, that 410 families will be affected by Columbia's Douglass School Urban Renewal Project and will be relocated elsewhere," the Columbia Missourian reported. The Douglass School Urban Renewal Project was one of three times over the past 50 years that blight decrees empowered so-called Land Clearance for Redevelopment Authorities (LCRA) to take control of vast portions of Columbia, mostly around the downtown area. The LCRAs used eminent domain and other hardball tactics to scoop up land for schemes that left bitterness, angst, and a trail of defeat in their wake. Even their appraisers were in cahoots, repeatedly accused of lowballing property appraisals and cheating landowners out of fair prices. and a real estate consultant named Andrew J. "AJ" McRoberts who led the opposition, not once, but twice. Replace LCRA with Enhanced Enterprise Zone (EEZ), and you have the same idea now: Something is wrong with Columbia only the Good Ol' Boys can fix. Tied in with HUD funding for so-called "urban renewal," the Douglass School Urban Renewal Project (DSURP) lumped black-owned businesses and homes with white-owned slums and shanty towns. The LCRA "cleared" roughly 126 acres between Broadway and Walnut; Worley and Hickman; Eighth to Garth. Black doctors, lawyers, hoteliers, tavern owners, bowling alley owners, metal smiths, politicians, barbers, and restaurant owners were consigned to a legal definition that became an insidious racial stereotype: the definition of blight, which condemned the community's morals and served as a key pivot in the taking of their land. Led by Carlyle Kurtz "C.K." Odor and named for the historically segregated Douglass High School, DSURP could have been called USURP. The DSURP LCRA paid roughly 50 cents on the dollar for the land with help from low-balling appraisers. They quietly sold it to more-prominent business owners, the Columbia Housing Authority, and other government agencies. "Two acres on the northwest corner of Rogers and Fifth Streets in the Douglass School Urban Renewal project were approved for sale to the Columbia Board of Education last night by the Land Clearance for Redevelopment Authority," the Columbia Missourian reported April 4, 1966. "The land will be used as an athletic field for Jefferson Junior High School." Because DSURP targeted a politically-weak black community emerging from decades of segregation and Jim Crow, it never mustered the opposition other eminent domain schemes prompted. Initially targeting roughly 600 acres and 1,000 privately-owned homes -- similar to today's huge Blight Decree -- the Midtown Columbia Redevelopment Project (MCRP) sparked bitter opposition. A group called Citizens for the Preservation of Private Property Rights and Self Government formed under the leadership of A.J. McRoberts, a commercial real estate consultant and appraiser with "a long history of opposing urban renewal projects," the Columbia Missourian reported in January 1980. "I am absolutely, unequivocally and philosophically opposed to urban renewal," McRoberts told the Missourian. "I think it is an undue intrusion on the property rights of people." A white guy with a glistening bald head and a gentle face that belied his steely resolve, McRoberts would square off twice in his life over the same threat: once over MCRP and a second time 18 years later over a project centered on Flat Branch. McRoberts and citizen opposition fought for over a year to force MCRP to a vote. On June 11, 1963, voters defeated the plan, 4,579 to 3,183. But land clearance proponents would be back for a third, strife-riddled go-around. A hotel, convention center, 700-car parking garage -- even Sasaki and Company of the 2007 Sasaki Plan -- were part of the 1978-82 Flat Branch Redevelopment Project. The first step had been a Blight Decree from the Columbia City Council. "The City Council recently designated Flat Branch a 'blighted area,' allowing the city to take control of redevelopment," the Columbia Missourian reported on July 10, 1978. "The area is a 45 acre tract bounded by Stewart Road, Providence Road, Broadway, Fifth and Sixth streets." Sasaki and Company partnered with Maryland-based Zuchelli, Hunter and Associates and rolled out a plan they would repeat 30 years later. The Flat Branch project, they said, would open a new entrance on Elm Street from College Avenue for Mizzou. Likewise, the 2007 Sasaki Plan "reimagined Elm Street extending to College Avenue" and was used to justify taking land from Jack and Julie Rader and the partners who own Addisons in 2008. McRoberts -- who for decades ran a successful hotel real estate consulting business from an office in back of the Boone County courthouse and in Texas -- returned to fight the handsome scion of the Landmark banking family -- Marquis "Mark" Landrum -- and none other than former Columbia Mayor, MBS Books CEO, and now St. Charles Road Development partner Robert "Bob" Pugh. Pugh chaired the Flat Branch LCRA and Landrum was its vice-chairman. Voters "overwhelmingly defeated" the Flat Branch Redevelopment Project in 1980, the Missourian reported. Before it was consigned to history's dustbin, "Land Clearance for Redevelopment Authority chairman Bob Pugh called Flat Branch 'the most significant undertaking ever contemplated in this town,'" the Missourian reported. Then he called out Flat Branch redevelopment opponents. "Pugh said he expects the group opposing Flat Branch to use the same tactics they used in soliciting signatures for the referendum petition,"
the Missourian reported July 22, 1979. "He earlier said the group was misinterpreting the facts to get signatures. The proponents' task, he said, will be to help people get 'an understanding of the truth.'" Fast forward to Columbia's 2012 Blight Decree. Octogenarian Columbia Tribune publisher Hank Waters -- one of Pugh's closest friends -- writes about "cutting through all the confusion" caused by a "band of persistent conspiracy theorists." At the same time, he fails to disclose that his newspaper is a REDI investor whose associate publisher, wife Vicki Russell, is vice-chairman of the REDI board. Also in the Columbia Tribune, REDI chairman Dave Griggs pens "Zoning in on Misconceptions", attacking what he calls "incorrect information" about the blight declaration. It's the same rhetoric, all over again. And it will lead to the same result. The 1963 urban renewal fight "was very bitter," McRoberts told the Missourian in 1980. "It took 10 years for the bad feeling to die down. And now we're doing it again."